It’s time for Diwali - New clothes, crackers and sweets!!! It’s time for us to celebrate this festive occasion with our family and loved ones! But there are some kids who are not as lucky as we are - they don’t have a family to celebrate this Diwali with. For them, we make up their family every year!!! 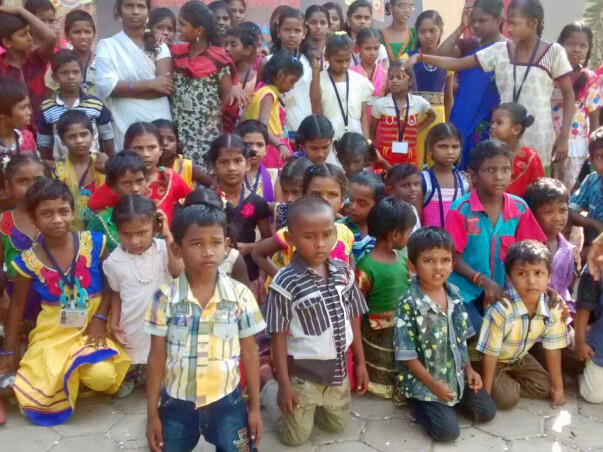 Every year, we bring together underprivileged kids from various homes & poor schools in Chennai for Diwali celebrations. This year too, we are sharing the festive season- and new clothes, sweets and joy- with nearly 1016 kids from 27 different homes. We believe that every kid deserves to experience happiness, especially in their childhood. The main reason of this celebration is to create a sense of community among the kids. And for them to have fun! One thing we can assure you is that this day of celebration will make your Diwali, memorable and meaningful. Come, let’s celebrate Diwali together with these kids who deserve to be happy! Every child deserves happiness, wouldn’t you agree? And finally... HAPPY DIWALI in advance!!! Who are we? Gold Heart Foundation, is a registered trust established in 2007, is a not-for-profit organization working towards creating equal opportunities for the deprived children through quality education. Gold Heart enables underprivileged students to drop the idea of dropping out of school through sustained coaching classes with special attention and care. Currently the NGO has spread its reach to regions outside Chennai and we are working with tribal villages in and around Kolli Hills to improve the quality of school education. What do we do ? We have been supporting nearly 1000 children under our wings in 29 different tuition centers. These grooming centers focus on three different dimensions needed for a successful life - Academics, Values and Personality development. We also provide support for their quality education by providing the children with the necessary stationery, notebooks and books.